Imagine that thoughts are things we can see. This site asks you to think of thoughts as things we can see. 3D models of thoughts made by year 8 & 9 students at Weatherhead High School. Digital Thought Visualisations use new technologies to describe thoughts as digital things with a life of their own, things that interact with people, each other and the spaces that they are in. This site has been made to try and answer the question. How can we explore new ways to show and share our thoughts using technology? 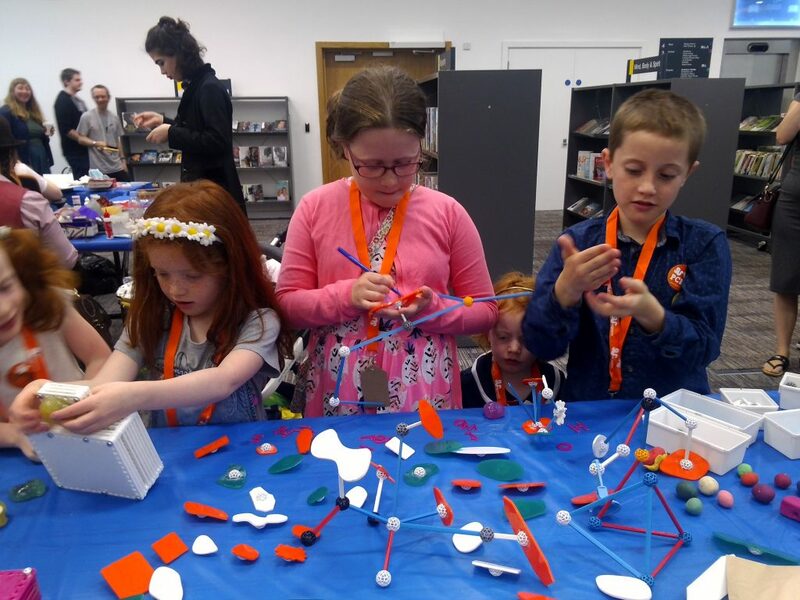 The guides on this site are designed to show people of all ages how to visualise thoughts using high and lo tech, from play-doh and felt tips to 3D design and code. To keep things simple, we’ll be using the word ‘thought’ as a catch all term for all the things we do with our minds, so when we say thoughts we also mean things like emotions, memories and dreams. Some experts say that externalising thoughts and feelings as things outside of ourselves, using pictures, sculptures or words, can help us understand them better. People have been describing thoughts visually for a long time, using things like thought bubbles in comics, mind maps for brainstorming and by creating images of telepathy in books, paintings and films. All of these examples offer interesting ways to describe thoughts, but they are all limited by the use of traditional materials like pen and paper, or modelling clay. These materials can’t move, interact or respond to what is happening around them. When you draw a thought bubble with a pen, it just sits there on the page. As computers become smaller, cheaper and more powerful they are reaching out into the spaces we share. Because computers can do things that earlier technologies can’t, Digital Thought Visualisations are quite different to thought visualisations made using more traditional tools. Using digital technologies thoughts can be..
Making Digital Thought Visualisations could offer new ways to show how our thoughts and feelings interact and new ways of communicating with each other in everyday life. 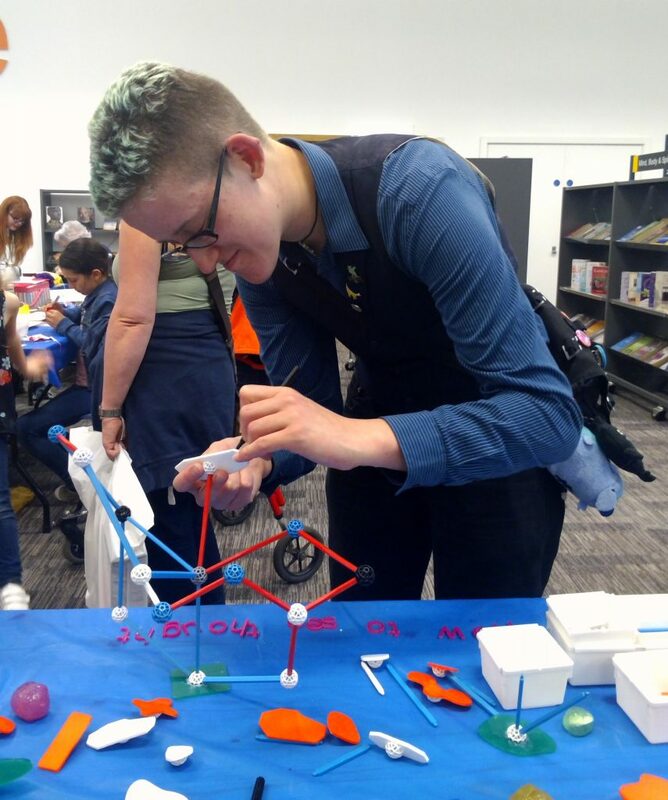 You’ll find the activities on this site interesting if you enjoy trying to work out what makes you and other people tick and if you like the idea of exploring new, creative and visual ways to describe how you and other people think and feel. How To See Thoughts may also be useful to artists, designers, educators and anyone working with technology or in mental health. Digital thought visualisations can be used in all sorts of formal situations, like lessons or meetings, but we’re also interested in how they can be used to explore new ways of communicating in our everyday life, in homes, cafes or in shops. How to make designs of thoughts as visible things, exploring how to name and sort thoughts, what they look like and where they appear, using paper, pens, play-doh and balloons. How to make digital 3D models of thoughts, exploring the use of different shapes, colours and textures to describe different thoughts, using free 3D software Blender. How to program digital thoughts to move and interact with each other. Learn how to program thoughts to wander around spaces, chase, follow, avoid or flock with each other, or even eat or breed with each other using free software StarLogo TNG. 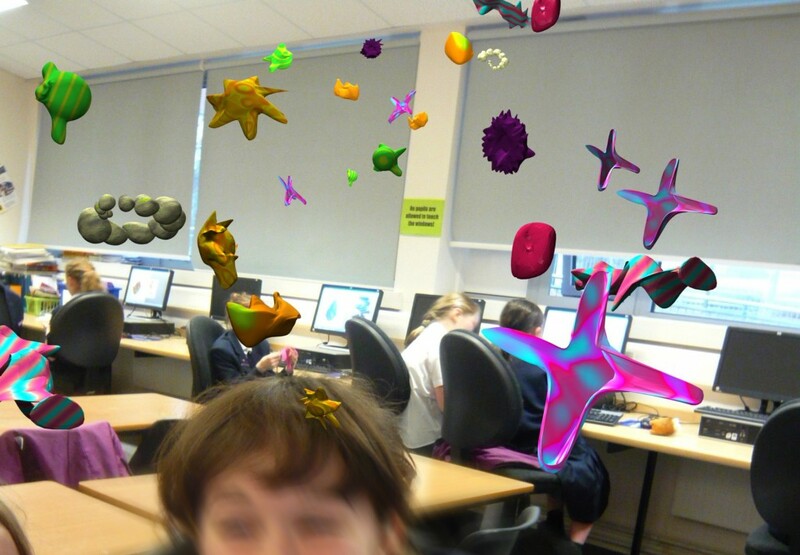 Using StarLogo TNG you can program 3D digital thought visualisations with 100’s of thoughts moving around and interacting with each other by clicking code blocks together, like in kids programming language Scratch. You can read more about the ideas that inspire this website on the Key Ideas blog. These posts look at ideas about where our thoughts are, how our minds work and how technology effects our thinking. This blog has some quite complicated ideas, probably best for people who are teenage or older. 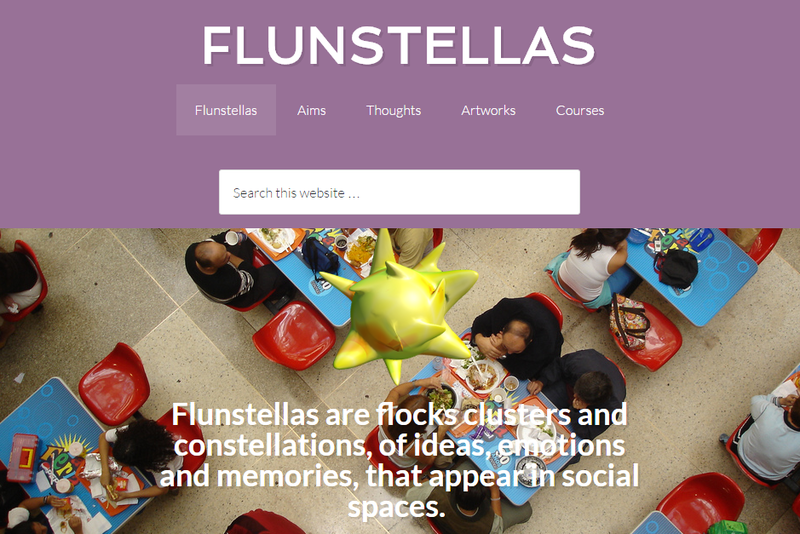 Flunstellas are flocks, clusters and constellations of ideas, emotions and memories that appear in social spaces. They are used as a fantasy narrative to get people thinking creatively about thoughts and feelings. This site is used as a space to share how to run Flunstellas themed activities. Aerial video footage using inflatables. Copyright © 2019 How To See Thoughts. All rights reserved.